I started putting these colors together and thought it would be great for my niece's 9th birthday. Her birthday isn't until June but since that little nine fit so perfectly in the little circle I figured I might as well go with it! I used tons of Reverse Confetti Confetti Cuts including: Love Notes, Circle Garland Pretty Panel, Circles and Scallops and Tag Me. 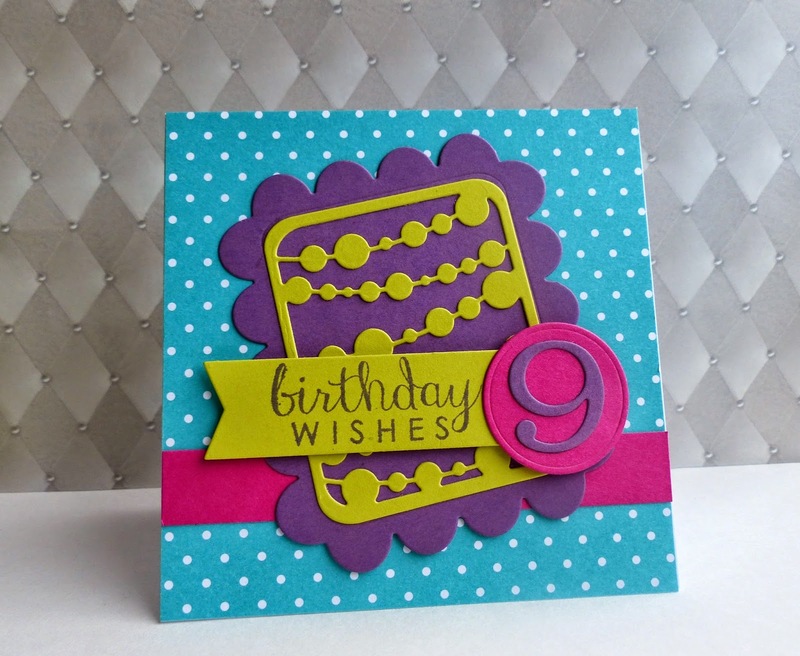 I also used my Label Me stamp set. I have been really enjoying making square cards lately, this one is 4.25 x 4.25. I have also been trying to find a good location in my house to take pictures...this one is in my kids playroom, I think it turned out pretty good! How fun, love the colors! Thanks for joining us at Reverse Confetti's SFYTT!